Touchscreen interfaces are increasingly more popular. However, they lack haptic feedback, making it harder to perform certain tasks. This is the case of text-entry, where users have to constantly select one of many small targets. This problem particularly affects older users, whose deteriorating physical and cognitive conditions, combined with the unfamiliarity with technology, can discourage them from using touch devices. 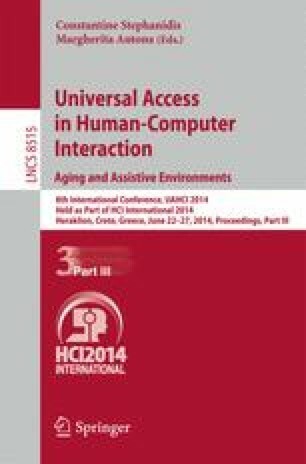 In this study, we analyze the performance and behavior of 20 older adults when inputting text on a tablet. We tested a baseline QWERTY keyboard, as well as 2 variants that use text prediction in order to aid seniors typing. From our results, we derive a set of design implications that aim to improve the performance and usability of virtual touch keyboards, specifically for the older users.